VILLAGERS HELPED TO BE HEALTHIER! 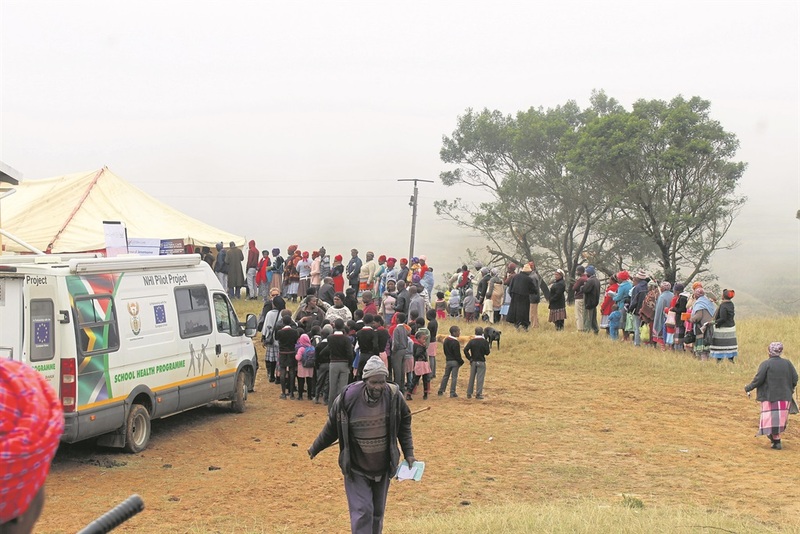 EASTERN Cape Health arranged a wellness programme for Ntabankulu villagers last week. The week-long community outreach project started on 3 September and ended on Sunday. It was rolled out in villages where there are no health facilities. Health spokesman Lwandile Scwetcha said it meant to encourage residents to lead a healthy lifestyle. “Concerns about the maternal and child mortality rate and high risk of teenage pregnancy meant health professionals were sent to the area. “We recorded the second highest number of teen pregnancies in the country in Ntabankulu, as well as a high death rate, malnourished newborn babies and a low rate of immunisation of babies,” Scwetcha said. On Friday, six ambulances and two buses for the transport of patients were handed over to Alfred Nzo District . Ntabankulu mayor Tsileng Sobuthongo welcomed the new vehicles. Ntsikayezwe High principal Mtheleli Diko was happy schools were involved. “My staff are mostly men, so we have challenges communicating with pupils.